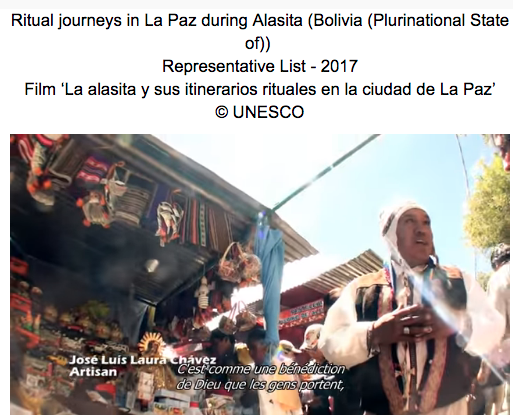 During the ritual journeys in La Paz during Alasita, which begin on 24 January and last two or three weeks, participants procure ‘good luck’ miniatures associated with Ekeko, the city’s beneficent god of fertility. 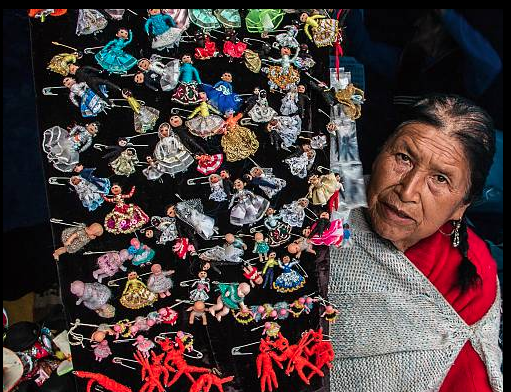 The activities begin with the search for and acquisition of the miniatures, followed by their consecration with the different Andean ritualists or their blessing by the Catholic Church. The miniatures acquire a new meaning since the individuals have vested them with faith, allowing their wishes to come true. People also exchange the miniatures to symbolically pay debts. The bearers and practitioners include a broad community of stakeholders, and inhabitants of the city participate irrespective of their social status. The practice promotes social cohesion and intergenerational transmission and improves intra-family relationships. The importance granted to donations and the payment of debts, even if symbolic, also lowers tensions between individuals and even social classes. Alasita rituals are primarily transmitted naturally within families, with children accompanying their parents during the journey. Efforts to safeguard Alasita have been continuous and depend mainly on civil society. Conservatories and museum exhibitions have raised awareness about certain Alasita themes, and municipal contests are organized to encourage the craft production of the miniatures and develop creativity, enjoying an ever-increasing number of participants. 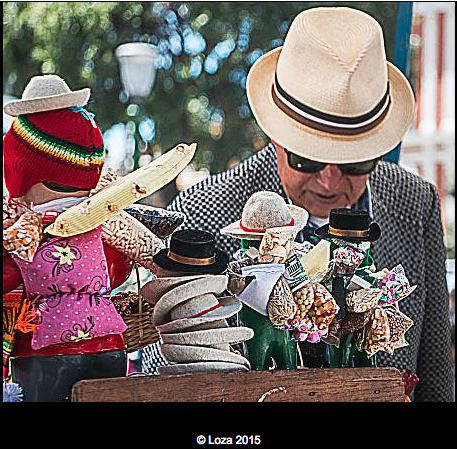 This entry was posted in Bolivia, La Paz, Tourism and tagged Alasitas Fair, Bolivian heritage. Bookmark the permalink.